540 LEI690 LEI V.A.T. included. Shipping price not included. This hair has been previously lightened to achieve its color level. Prevent color products from staining the PVC synthetic facemask by applying protective cream around the hairline and covering it with plastic wrap. Color oxidation can make PVC swell. Areas with high density have more implantation holes. As the PVC swells, so do the implantation holes. 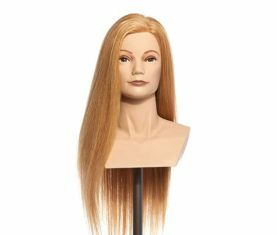 This reaction can cause the hair to loosen from the glue, allowing the hair to fall out of the mannequin. Please use caution if your color application requires heat, as this will swell the PVC as well. 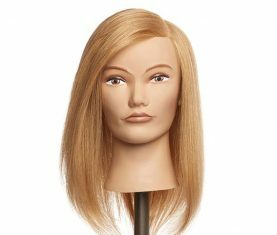 Take care when manipulating the hair during a color application and combing or brushing the hair following the application. Pivot Point’s hair media is available in a variety of hair colors, texture patterns and length arrangements simulating a diverse client population. The same careful considerations you would give your client’s hair should be extended to these hair media. 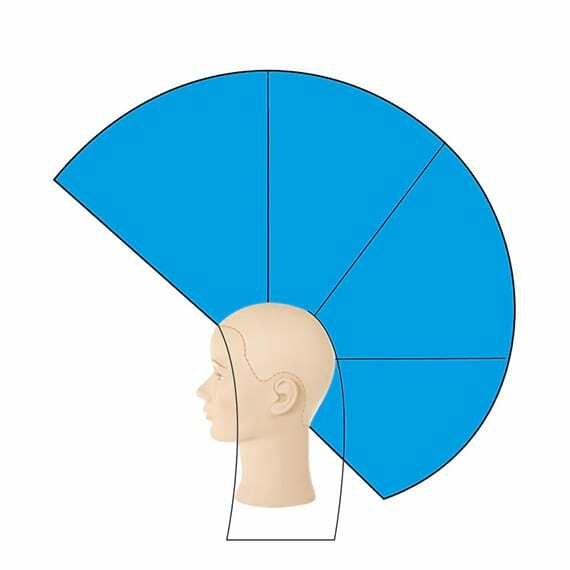 The following guidelines will maximize the life of your educational hair by Pivot Point. Avoid storing damp hair in plastic bags to prevent unpleasant odors from mold or mildew. Avoid excessive temperatures, hot or cold. Do not leave components/caps or mannequins in any area where extreme temperatures occur for prolonged periods of time, such as cars or cabinet dryers. Strand tests are recommended to preview results of all chemical treatments. Avoid coloring to prevent hair damage or lose. DO NOT USE PERM SOLUTIONS FOR THE HAIR! It is very important to read the “Care and Maintenance” card before hair use. 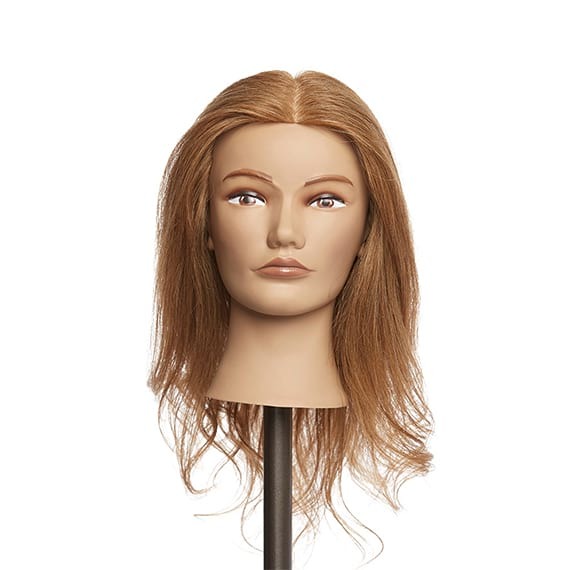 This Pivot Point hair medium is warranted to the original purchaser for a period of one year from original date of purchase, under normal use and service against defective material or workmanship. 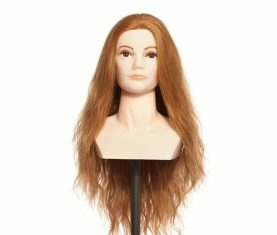 This warranty is void if the hair medium has been damaged by accident or improper care, neglect or other causes not arising out of defects in materials or workmanship. 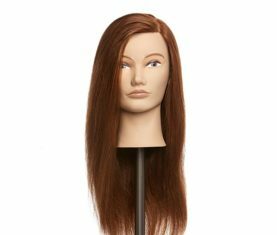 During the one-year period, Pivot Point will replace the hair medium when returned with a copy of the original purchase receipt, a copy or original tag containing the lot number and a letter, describing the defect. 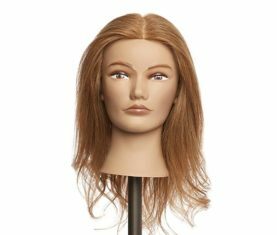 Any mannequin returned without receipt of purchase will be replaced at the discretion of the company. This hair product has been chemically bathed and disinfected by steaming to ensure optimum safeguards. This process has been approved through the Department of Hygiene and Health Origin Authority in Asia. Disinfectant Staining: After the disinfection process, a reddish-brown colored residue may drip from wet hair. This residue can stain; shampoo hair prior to use. Copyright © 2018 Make a Point. All rights reserved.